Just like her dad, Veronica "Kitty" Duterte seems to have a natural charm with connecting to people. 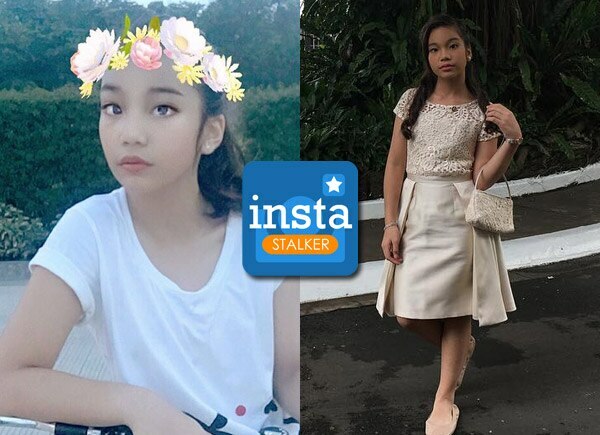 As seen on her Instagram account, which she started during the time of her dad's campaign, the 12-year-old daughter of President Duterte with his common law wife Honey Avencena shows her playful side with photos of selfies, bonding with classmates in Davao, and musica.ly videos which she seems to enjoys making while she's waiting for a flight or whenever she has free time. I look so ugly haha.???? Sisters by choice, bestfriends by blood.??? HAHAHAHA @louissedanieee ?? Being good is also a mistake nowadays, people think you are fake.?? Zawawawa wanted to see my morning face.???? Kay iro lge daw ko.?? O6/30/16 ?????? @briellekab09 @ancigalicia_12234 & Louisse D.?? Missyouuu guys.??? ?